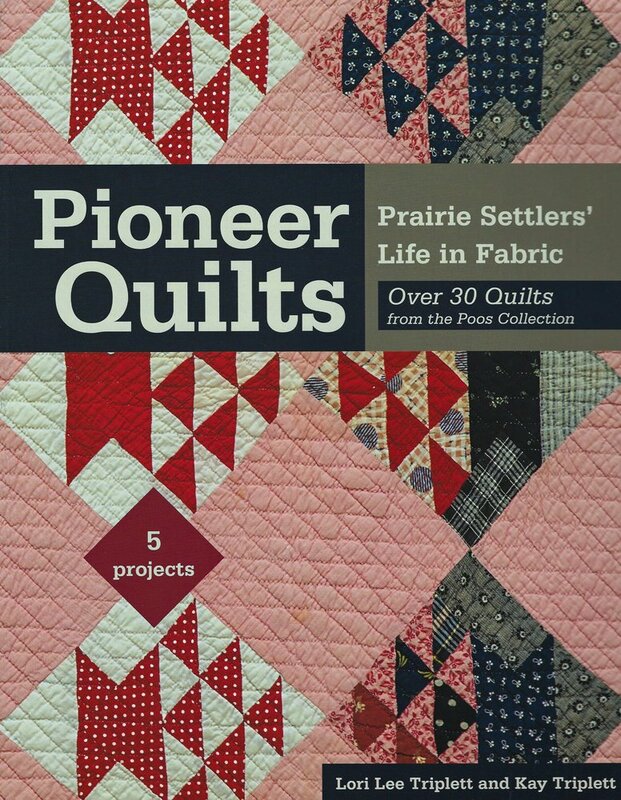 Pioneer Quilts - Prairie Settlers' Life in Fabic by Lori Lee Triplett and Kay Triplett. Join fictional character Esther Heinzmann as she narrates the journey through authentic, pioneer-era creations from the Poos Collection - each featured in full color on a 2-page spread. Ideal for traditional quilters and quilt history buffs, this robust offering of 30 antique quilts, plus 5 quilt projects that readers can recreate at home. Offering access to the authors' privately held family collection, this book gives an in-depth look at the importance of quilts to the pioneer life. As you view the quilts, you'll also read accounts of the Great Migration, including preparation for the long journey and a depiction of real life on the prairie. Full quilt photos and detail shots allow you to appreciate the beauty of these handmade quilts up close. Remake history with included project instructions for 5 of the antique quilts Learn about the authors' own pioneer ancestors.